Deprenyl (aka seligiline, trade names Eldepryl®, Jumex®) was discovered in Hungary in the 1950s and was patented by Professor Jozsef Knoll of Semmelweis University in Hungary in 1962. 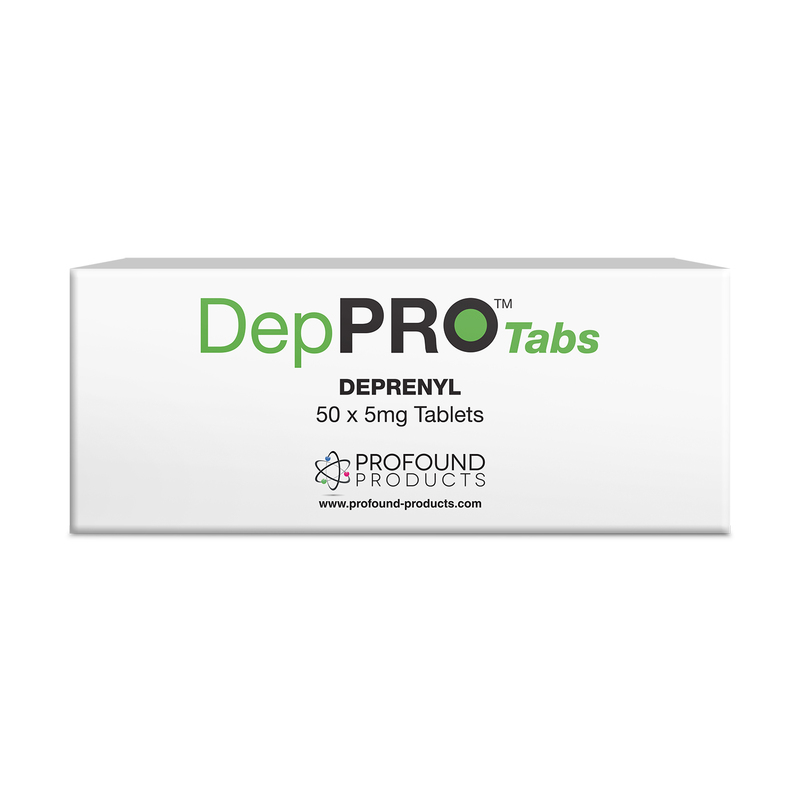 Deprenyl was shown to extend maximum lifespan in animals, enhance cognition in normal healthy animals, reduce the symptoms and delay the progress of Parkinson’s and Alzheimer’s disease and act as an aphrodisiac and performance-enhancer in male animals and men. In our book, Smart Drugs II, the Next Generation (1993), based on a number of positive studies, we wrote that deprenyl appeared to be a powerful weapon against Alzheimer's disease.1 At about that same time, Professor Knoll recommendedthat; “Alzheimer’sdisease patients need to be treated daily with 10 mg deprenyl from diagnosis until death." 2 Curiously, research on selegiline peaked ten years after the publication of our book and plummeted thereafter. What happened, I wondered, to the interest in what I still believe to be an effective antiaging, cognitive-enhancing substance? From 2000-2003, a series of articles critically reviewed deprenyl’s efficacy in Alzheimer’s disease—two in Cochrane Reviews,3,4 and one in International Journal of Geriatric Psychiatry.5 Cochrane Reviews is considered the “gold Standard” for “meta analyses,” in which the authors critically analyze a number of double-blind controlled studies to arrive at a consensus of “evidence-based medicine.” All three of these meta-analyses relied on the same statistician, reviewed essentially the same studies and arrived at progressively more negative conclusions in each review. With that disparaging conclusion, further research into the use of deprenyl for Alzheimer’s use ground to a screeching halt (Fig. 1). Another understandable reason for the fall-off in published studies about deprenyl is that brand-name protection for Eldepryl® (selegiline) in the U.S. had ended, and there was little likelihood for pharmaceutical-sponsorship of further trials. Figure 1: Time-line of selegiline studies.19 Note the dramatic drop in annual studies following the publication of the disparaging meta-analyses. I was thunder-struck by the negative conclusions reached by the Cochrane Reviewers, which seemed to fly in the face of the positive clinical studies that we had reviewed in SDII—and, for that matter, which were included in the Cochrane Reviews. Admittedly, Alzheimer’s disease is a chronic debilitating disease, that results in progressive death of brain cells, for which there is no known definitive cure. Deprenyl is not the “silver bullet” for Alzheimer’s disease that we all hope for—but it has been shown to delay neurodegeneration, and restore the catecholamine balance in brains altered by Alzheimer’s disease. Certainly, any treatment that slows or reverses this debilitating disease to any degree, with minimal or no adverse side effects, is a welcome addition to our therapeutic armamentarium. I re-examined the 17 studies in the meta-analysis, as well as the studies which were specifically not included--as well as a major study that had not previously been considered (but which should have been)—to determine the credibility of the meta-analyses. Thus, at least 10 of the 17 studies showed apparent benefit from deprenyl in Alzheimer’s patients. Although 5 studies did not find any benefit from deprenyl, there were no adverse effects. Unfortunately, Alzheimer’s Disease is presently an incurable neurodegenerative disease. Although a number of treatments are used to minimize or improve the symptoms, there is no proven treatment to reverse its downward course. By the time the diagnosis is made, the patients are usually past complete recovery, since the neuropathological changes in the affected neurons are on an irreversible downward path. Since Alzheimer’s disease is believed to be a byproduct of “normal” brain aging, our best hope to significantly decrease its prevalence is to slow the natural aging of the threatened neurons by administering a protective substance like deprenyl. Although deprenyl does not alter the landmark pathological changes of Alzheimer’s once they have become manifest (such as neurofibrillary tangles, amyloid beta or abnormal tau proteins), it has demonstrated over and over via multiple mechanisms that it can slow the progression of Alzheimer’s disease, and in many cases enhance cognitive and behavioral indices of the disease. Therefore, the optimum time to use selegiline is before the disease presents. Dean W, Morgenthaler J, Fowkes SW. Smart Drugs II, the Next Generation. Smart Publications, Petaluma 1993. Birks J, Flicker L. Selegiline for Alzheimer’s disease. Cochrane Database Syst Rev. 2000;(2):CD000442. Wilcock GK, Birks J, Whitehead A, Evans SJ. The effect of selegiline in the treatment of people with Alzheimer’s disease: a meta-analysis of published trials. Int J Geriatr Psychiatry. 2002 Feb;17(2):175-83. Birks J, Flicker L. Selegiline for Alzheimer's disease.Cochrane Database Syst Rev. 2003;(1):CD000442. Agnoli, A, Martucci, N, Fabbrini, G, et al., Monoamine oxidase and dementia: Treatment with an inhibitor of MAO-B activity, Dementia. 1990, 1:109-114. Agnoli A, Fabbrini G, Fioravanti M, Martucci N. CBF and cognitive evaluation of Alzheimer type patients before and after IMAO-B treatment: a pilot study.Eur Neuropsychopharmacol. 1992 Mar;2(1):31-5. Sunderland T, Molchan S, Lawlor B, Martinez R, Mellow A, Martinson H, Putnam K, Lalonde F. A strategy of "combination chemotherapy" in Alzheimer's disease: rationale and preliminary results with physostigmine plus selegiline.Int Psychogeriatr. 1992;4 Suppl 2:291-309. Filip V, Kolibás E. Selegiline in the treatment of Alzheimer's disease: a long-term randomized placebo-controlled trial. Czech and Slovak Senile Dementia of Alzheimer Type Study Group.J Psychiatry Neurosci. 1999 May;24(3):234-43. Lawlor BA, Aisen PS, Green C, Fine E, Schmeïdler J. Selegiline in the treatment of behavioral disturbance in Alzheimer's disease.Int J Geriatr Psychiatry. 1997 Mar;12(3):319-22. Loeb C, Albano C. Selegiline - A new approach to DAT treatment. Proceedings of the European Conference on Parkinson's Disease and Extrapyramidal Disorders; 1990 Jul 10-14, Rome. 1990. http://www.psych.org/clin_res/pg_dementia_8.html. S. Effects of a MAO-B inhibitor in the treatment of Alzheimer 's disease. Eur Neurol (Switzerland) 31(2): 100-7,1991. Piccinin GL, Finali G and Piccirilli M. Neuropsychological effects of L-selegiline in Alzheimer'stypedementia.C/inNeuropharmacol13(2):147-63,April1990. Sano M, Ernesto C, Thomas RG, Klauber MR, Schafer K, Grundman M, Woodbury P, Growdon J, Cotman CW, Pfeiffer E, Schneider LS, Thal LJ. A controlled trial of selegiline, alpha-tocopherol, or both as treatment for Alzheimer's disease. The Alzheimer's Disease Cooperative Study.N Engl J Med. 1997 Apr 24;336(17):1216-22. Tariot PN, Goldstein B, Podgorski CA, Cox C, Frambes N. Short-term administration of selegiline for mild-to-moderate dementia of the Alzheimer's type.Am J Geriatr Psychiatry. 1998 Spring;6(2):145-54. Freedman M, Rewilak D, Xerri T, Cohen S, Gordon AS, Shandling M, Logan AG. Selegiline in Alzheimer's disease: cognitive and behavioral effects.Neurology. 1998 Mar;50(3):660-8. Burke WJ, Roccaforte WH, Wengel SP, Bayer BL, Ranno AE, Willcockson NK. Selegiline in the treatment of mild dementia of the Alzheimer type: results of a 15-month trial. J Am Geriatr Soc. 1993 Nov;41(11):1219-25. Riekkinen, PJ, Koivisto, K, Helkala, EL, et al. (1994), Long-term, double-blind trial of selegiline in Alzheimer’s disease, Neurobiology of Aging, 15 (Suppl 1): S67. Finali G, Piccirilli M, Oliani C and Piccinin GL. L-selegiline therapy improves verbal memory in amnesic Alzheimer patients. Clin Neuropharmacol (USA) 14(6): 523-36,1991. Heinonen EH, Savijärvi M, Kotila M, Hajba A, Scheinin M. Effects of monoamine oxidase inhibition by selegiline on concentrations of noradrenaline and monoamine metabolites in CSF of patients with Alzheimer's disease.J Neural Transm Park Dis Dement Sect. 1993;5(3):193-202. Tariot PN, Cohen, RM, Sunderland, T, et al. L-Selegiline in Alzheimer's disease: Preliminary evidence for behavioral change with monoamine oxidase B inhibition. Archives of GeneralPsychiatry 44: 427-33, May1987. Tariot PN, Sunderland T, Weingartner H, Murphy DL, Welkowitz JA, Thompson K, Cohen RM. Cognitive effects of Selegiline in Alzheimer's disease.Psychopharmacology (Berl). 1987;91(4):489-95. Martini E, Pataky I, Szilágyi K, Venter V. Brief information on an early phase-II study with selegiline in demented patients.Pharmacopsychiatry. 1987 Nov;20(6):256-7. Martignoni E, Bono G, Blandini F, Sinforiani E, Merlo P, Nappi G.Monoamines and related metabolite levels in the cerebrospinal fluid of patients with dementia of Alzheimer type. Influence of treatment with Selegiline. J Neural Transm Park Dis Dement Sect. 1991;3(1):15-25. Goad DL, Davis CM, Liem P, Fuselier CC, McCormack JR and Olsen KM. Theuseof selegiline in Alzheimer's patients with behavior problems. JClin Psychiatry52(8):342-5, August 1991. Schneider LS, Pollock VE, Zemansky MF, Gleason RP, Palmer R and Sloane RB. A pilot study of low-dose L-selegiline in Alzheimer's disease. J Geriatr Psychiatry Neurol.1991 (USA)4(3):143-8. Falsaperla A, Monici Preti PA and Oliani C. Selegiline versus oxiracetam in patients with Alzheimer-type dementia. Clin Ther 12(5): 376-84, Sep-Oct1990. Monteverde A, Gnemmi P, Rossi F, Monteverde A and Finali GC. Selegiline in the treatment of mild to moderate Alzheimer-type dementia. Clin Ther 12(4):315-22, Jul-Aug1990. Campi, N, Todeschini, GP, Scarzella, L (1990), ‘Selegiline versus L-acetylcarnitine in the treatment of Alzheimer-type dementia’, Clinical Therapeutics, 12:306-314. Schneider LS, Olin JT, Pawluczyk S. A double-blind crossover pilot study of selegiline (selegiline) combined with cholinesterase inhibitor in Alzheimer's disease.Am J Psychiatry. 1993 Feb;150(2):321-3. Raffaele R, Rampello L, Veccio I, Giammona G, Malaguarnera M, Nicoletti G, Ruggieri M, and Nicoletti F. The use of selegiline in the treatment of cognitive deficits in elderly patients. Arch Gerontol Geriatr. Suppl. 8 (2002) 319-326.